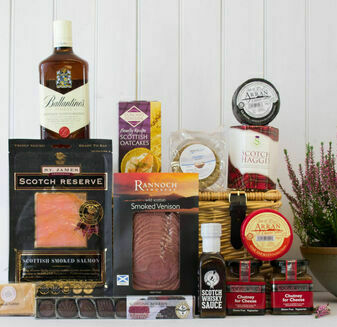 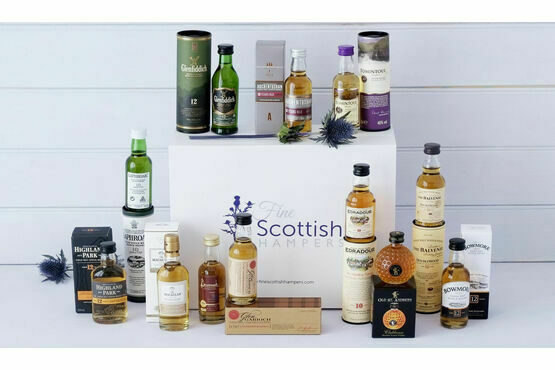 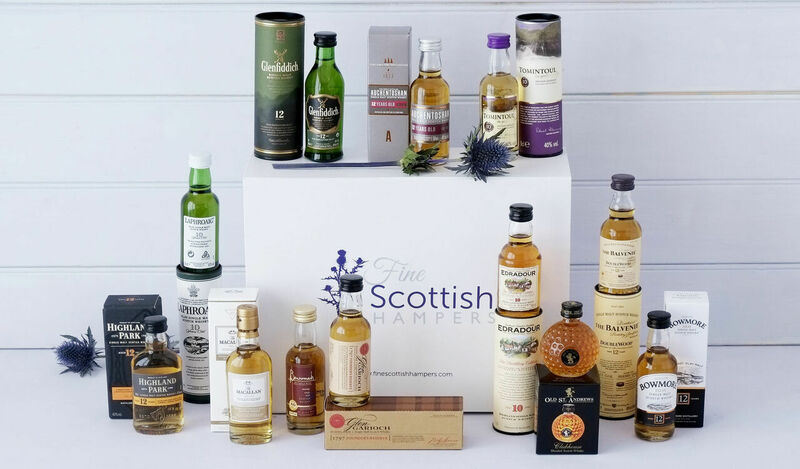 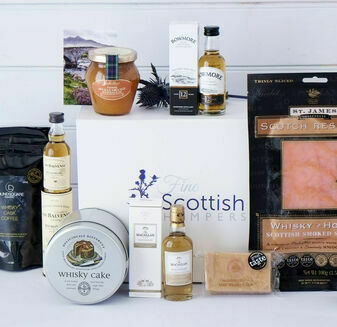 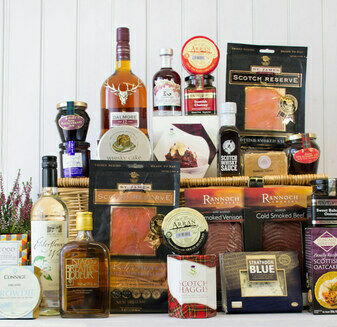 A selection of miniature Fine Scotch Whiskies come together in this Whisky Galore Gift Hamper to create an indulgent tasting session that any whisky lover will adore. 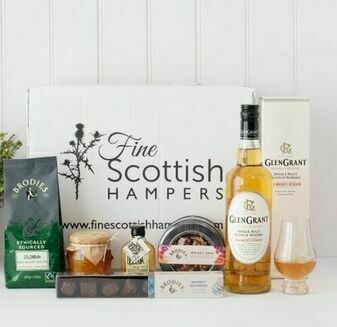 Featuring some of the most adored Scotch Whiskies available, this unique hamper allows you to try a huge variety of tempting flavours. 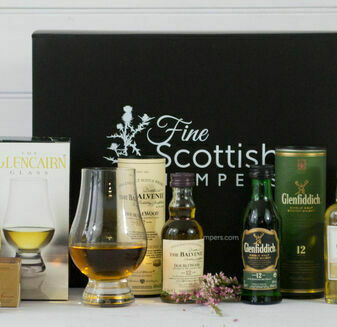 The perfect present filled with quality and precision. 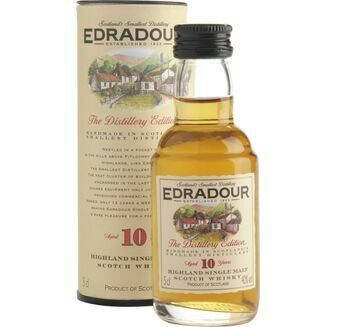 Ardbeg Single Malt 10 Year Old Whisky Miniature 5cl - Offering peat and malt flavours that gives you a sweet yet smokey base. 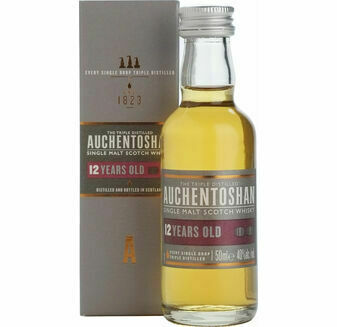  Auchentoshan 12 Year Old Whisky Miniature 5cl - Full of caramelised toffee and toasted almond flavours, this single malt and triple distilled Whisky is really something special. 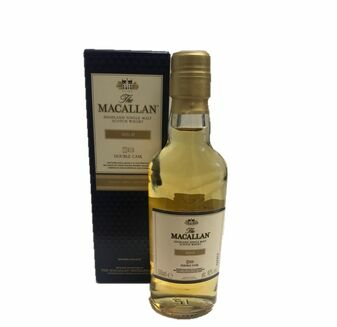 Macallan Double Cask Gold Whisky Miniature 5cl- Gold in colour, a smooth and delicious single malt with zesty lemon and oak vanilla notes. 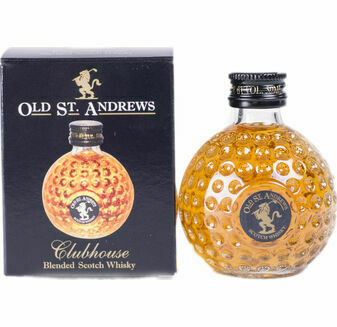 Exactly what I was looking for and my husband loved it! 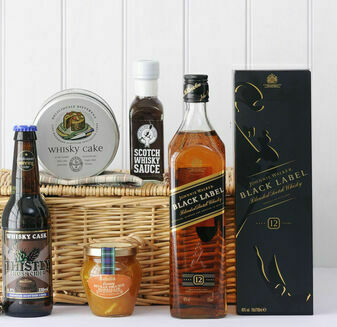 I had this hamper sent to my dad for his birthday and he was super stoked with it. 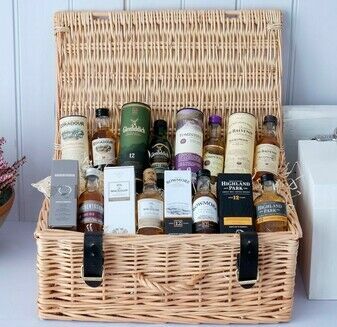 He loved the wicker hamper and will definitely be pacing his consumption of the whisky goodies! 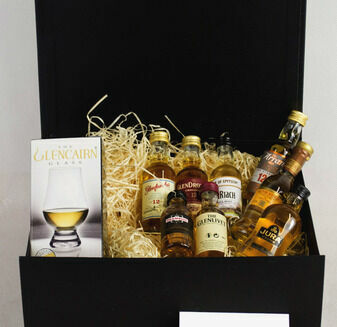 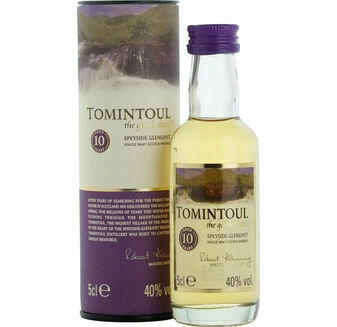 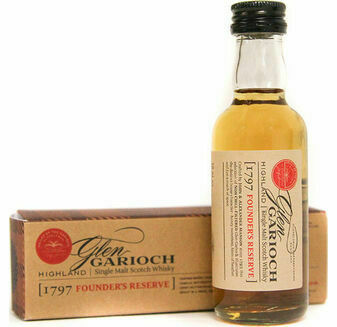 Incredibly well received by the recipient, good descriptions and images on the website, and a lovely variety of whiskeys. 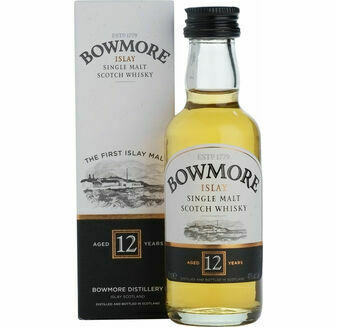 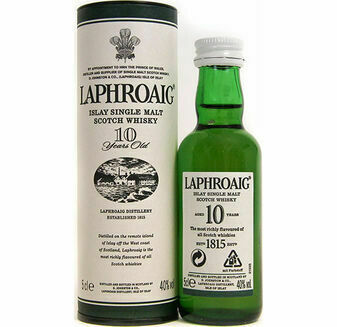 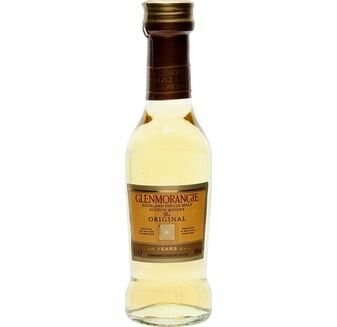 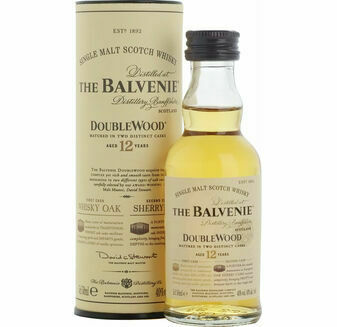 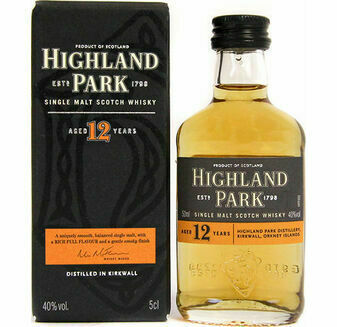 I bought this for my father (Scottish father) who absolutely love this, it even have 4 whiskies that he had never tried before. 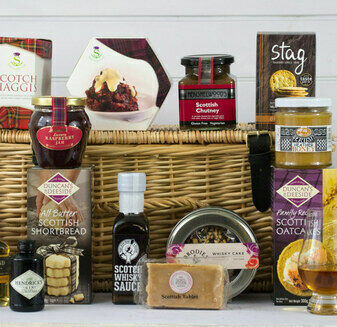 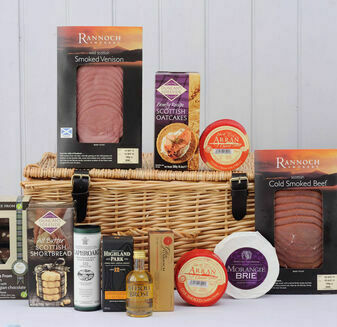 I would definitely recommend this hamper to anyone. 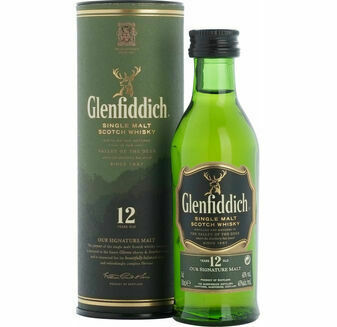 Customer services were wonderful after I noticed a slight spelling mistake in my order they very quickly corrected it for me.